Caption: Members of a former class involved in Omega Pshi Phi’s mentoring program. Omega Psi Phi Fraternity, Inc., an international fraternity, was the first African-American, national fraternal organization founded at a historically black college, Nov. 17, 1911, at Howard University in Wash., D.C. From its inception, Omega Psi Phi has worked to build a community of high achieving, like-minded African-American men dedicated to its cardinal principles of manhood, scholarship, perseverance and uplift. Sigma Iota Chapter of Omega Psi Phi Fraternity launched the Omega Gents Youth Mentoring and Tutoring Program (Omega Gents) to address the many challenges facing African-American males. The Omega Gents Program is designed to inject an optimistic environment, attitude and message into the lives of African-American school-aged males by teaching and encouraging them to positively define, plan, pursue and achieve their life goals. Annually, our mentoring services include several educational workshops and outings, two academic enrichment symposiums, community service projects, social and recreational outings, local college campus tours, and career visibility/development outings. Our formal program runs between September and June to match the school year, but we remain engaged with program participants during the summer with recreational activities to include our annual Youth Mentoring camping trip done in conjunction with youth from our other Northern California Chapters of Omega Psi Phi Fraternity. Participants in the Omega Gents Program benefit by experiencing personal development essential to their long-term success. They develop academically, socially and emotionally. They grow through various support services and exposure to new positive experiences that reinforce critical life skills. These young men also develop a sense of community by participating in a wide range of service projects. They build the confidence necessary to visualize, believe and pursue their dreams. Finally, our young men complete our program with a network of friends to provide continued support. Educational workshops follow a structured format involving a topical presentation, an open discussion, followed by group exercises to ensure understanding of the lesson. 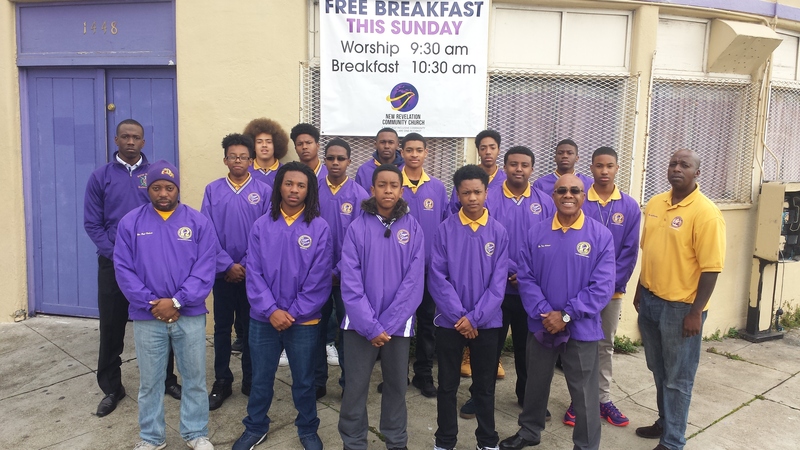 As scholarship is a cardinal principle of Omega Psi Phi Fraternity, tutoring services in English, mathematics, science and history are offered weekly to all our young men, including on days of regularly scheduled educational workshops or other events. Scholarships are awarded to graduating seniors who have been participants in the program.